Realized I am glad that I do not have to live under this authority. was priced about two times what it is here in BFE whyo. When you go to Utah you get exactly what you expect. Next time I suggest not going to Utah. Go to Colorado instead. was about two times what it is here in BFE whyo. Wow. So many antiquated/BS alcohol laws around the country. Indiana has its share (you can't buy alcohol to take home on Sunday from a liquor store or market, you have to drive to get it from a bar or restaurant, then drive home). However they don't tell us when to eat. 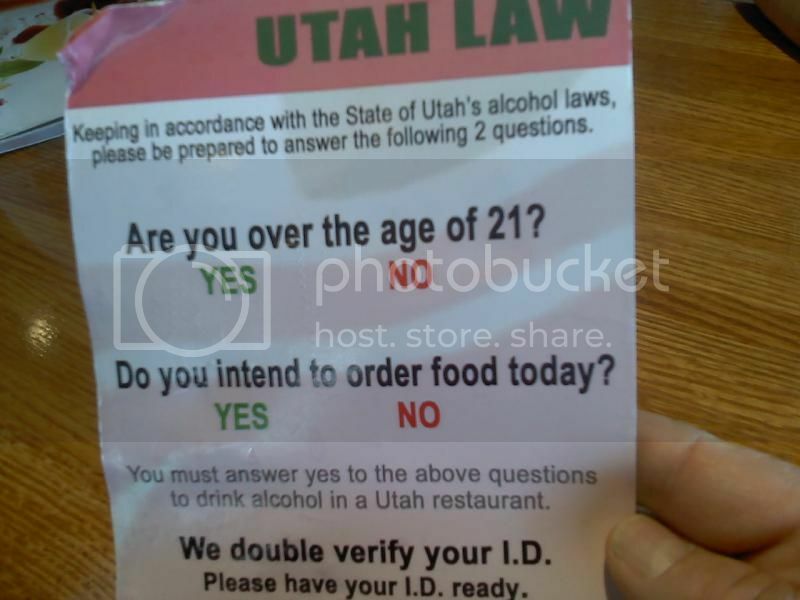 Did not have to order food in Utah brewpubs IIRC, from last September. Or go to the State Store, get some higher ABV beers and go back to where you are staying, then kick back and enjoy. In my opinion (redacted content) and that's just how I feel about that. Welcome to Utah, set your watches back 80 years. 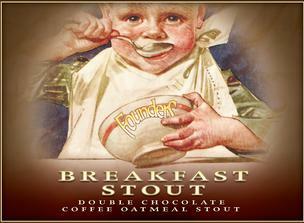 Not as bad as that, but NH just shot down the label for Founders Breakfast Stout. You can still get it on draft but if you want bottles, you need to drive to Maine or Massachusetts. Child on beer label will never go. We were on vacation last month and stayed in green river Utah, saw a sign on the wall in a small bar similar to that and I thought it was just a small bar joke, guess not. SLC seems to have been progressing. Still messed up, but at least you can order a beer and no food at all the places I went to. Haven't spent any time outside of SLC though, so no clue how much worse that is. I see it as a positive thing. Well gosh, I had to order pizza. Its the law. While a fun read, many of those laws have probably changed. For instance, you can buy over 6% abv beer in Georgia. Amazed Alabama wasn't on the list. I don't know about the Ames, IA law about sipping beer in bed or why water would be considered alcohol if a cop is having a drink but I can tell you that it is the bartenders discretion whether you run a tab. Iowa has some odd alcohol laws but we don't make it too difficult to get booze. I see it as a positive thing. Well gosh, I had to order pizza Spend more money. Its the law.